(WOIO) - After storms rolled through the area, power outages were scattered throughout several cities including Cleveland, Lakewood and Rocky River. According to FirstEnergy, most of the power had been restored in Cuyahoga County by 8 a.m. Wednesday. At one point Tuesday night there was nearly 25,000 people in the dark. 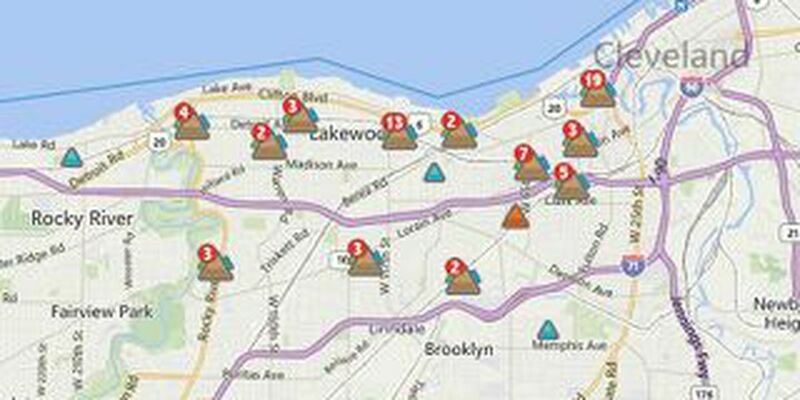 Stay updated with FirstEnergy's power outage map. To report an outage, call 1-888-LIGHTSS (1-888-544-4877) or click here. See severe weather in your neighborhood? Send us a photo at pics@19actionnews.com! Tune in to 19 Action News at 10 and 11 for the latest updates.